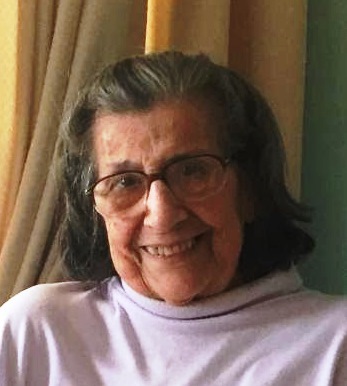 Mary (Menezes) Paiva 96 of Fairhaven passed away Saturday, April 13, 2019 at The Royal of Fairhaven. She was the daughter of the late Joao and Maria (Tanque) Menezes. She was born in New Bedford and lived in the area her entire life. Mary was a communicant of Our Lady of the Immaculate Conception Church. She work as a stitcher at Pierce Garment. Mary found much joy and fun in dancing and loved to do it. Survivors include her daughter, Colleen Andrews and husband Warren of Leesburg, FL; her grandsons Christopher Cardoza and Brian Heaps and his wife Barbara; great grandchildren Madison Heaps, Rachel Heaps, Cameron Heaps and many nieces and nephews. Mary is preceded in death by her brothers Manuel Menezes and John Menezes. Her Funeral Mass will be held Wednesday, April 17, 2019 at Our Lady of the Immaculate Conception Church at 12:00PM. Burial will follow in Pine Grove Cemetery. Her wake will also be held Wednesday, April 17, 2019 from 10:00AM to 11:30AM. In lieu of flowers donations can be made to the American Cancer Society 1324 Belmont Street Brockton, MA 02301.